Inside, this enchanting home plays host to three large bedrooms, a modern kitchen with all the features including soft close drawers. A separate bathroom, HRV system, insulation in the ceiling and underfloor; with spacious, open plan living areas. An extra-large lounge with a free-standing log fire and gas heating. Sit back, open the ranch sliders up and relax in the sun room / office which overlooks the private back section. 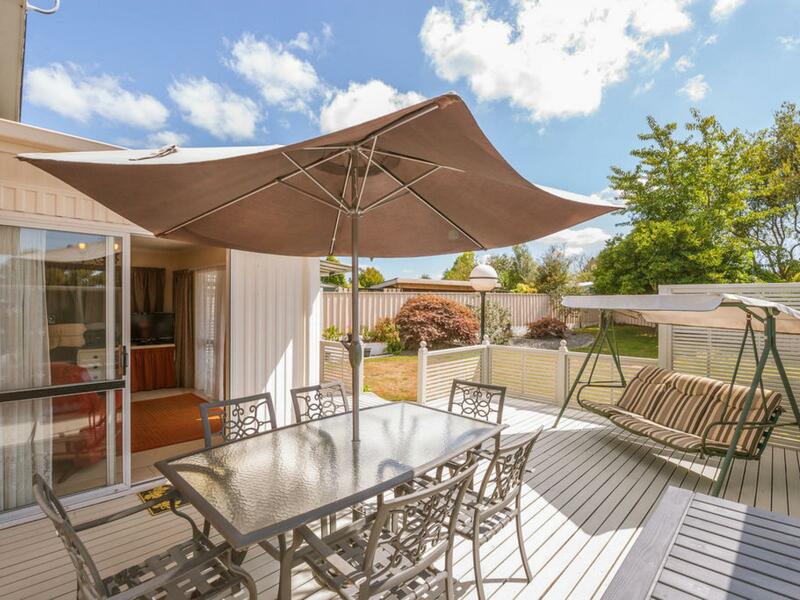 Outside, the section is beautifully manicured, with the back section being fully fenced with a deck large enough to entertain the whole family, and it being easy-care in nature. Two storage sheds, plus a wood shed, while the large double garage with automatic doors, provides a huge added bonus offering excellent storage. Of course, it's the location that will be the highlight for many, with this brick, low maintenance beauty being situated in a fantastic street on the Northern side of town. Homes of this calibre, in this thriving location, are constantly sought but seldom found, and interest is sure to be high as a consequence. Fixed floor coverings, Blinds, Light fittings, Auto Garage Door Opener and Remote x2, , Clothesline, Dishwasher, Drapes, Electric oven, Extractor Fan, Garden Shed x2, Gas Hob, Heated Towel Rail , Net Curtains, Range Hood, Security Lighting, Smoke Detectors x3, Washing Machine Taps, Waste Disposal, Gas heater in lounge, Ventilation system.